Dental implants are replacement root structures that fuse with the jawbone to provide an incredibly strong support for tooth replacements, such as crowns, bridges or dentures. Dr. Afar, West Hollywood dentist, can help you determine if you are a candidate for dental implants and the type of implants that would be most appropriate for you. The root form dental implant is the most common type of dental implant. This type of dental implant is designed to be similar in size and shape to natural tooth roots. They are generally used when bone density is healthy and adequate for placement. In some cases, bone grafting may be necessary. If you are not a candidate for bone grafts, you may need plate form implants, which are special narrow implants designed to be placed in narrow jawbones. When advanced bone loss is present, Subperiosteal implants may be necessary. These implants rest on top of the bone and under the gum, requiring no grafts. If our dentist determines that you are a candidate for implants, you will first undergo surgical placement of the implants, after which the implants will be allowed to heal, or osseointegrate. During this period, they will fuse with the bone. This process can take a few months or more. Once the implant has healed, the replacement tooth or teeth will be attached to the abutment. 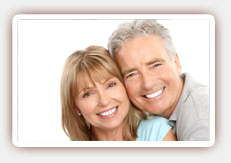 You will need to care for your new dental implants just as you care for your own natural teeth. 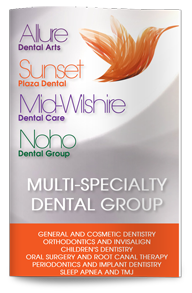 Brush after meals, floss daily and see our dentist every six months for regular dental checkups. If you are missing teeth, contact Dr. Afar, West Hollywood dental implants specialist, today to learn more about your options.